It is no secret that Russians like vodka. Though many nations in Eastern Europe claim that they invented the alcoholic drink, Russia is the nation that is most closely associated with it. “Vodka” literally means “little water.” How did it come to pass that a nation is so closely linked to an alcoholic drink? The story begins in the time before Christianity became the religion of Russia and Northern Europe. Like their close kin in Scandinavia, the people of the Kievan Rus (yes, Kiev is now in Ukraine – but before the rise of Moscow in the 1100s, Kiev was the center of Russian culture) worshiped many gods. Some of these gods were analogous to the familiar gods of Scandinavia: Odin, Thor, etc. 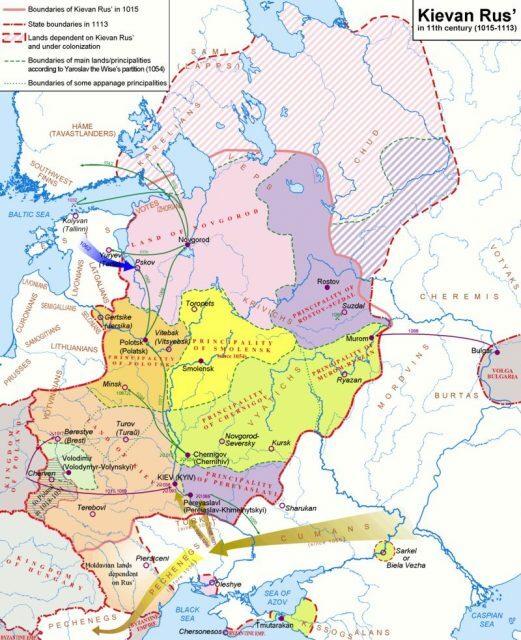 The reason for that is simple – the ruling classes of Kievan Rus had their roots with the Swedish Vikings who sailed down the rivers of Russia looking for trade (and plunder – you can’t be a Viking without plunder). Though historians are divided on this issue, many believe that the word “Russia” derives from the Slavic word for the Swedes, “Rus,” meaning “red” and referring to either or both their reddish hair/beards or their ruddy skin-tone. Whatever the origin of the name, one thing is clear: the Vikings liked to drink. In Scandinavia, their favorite drinks were ale and mead. 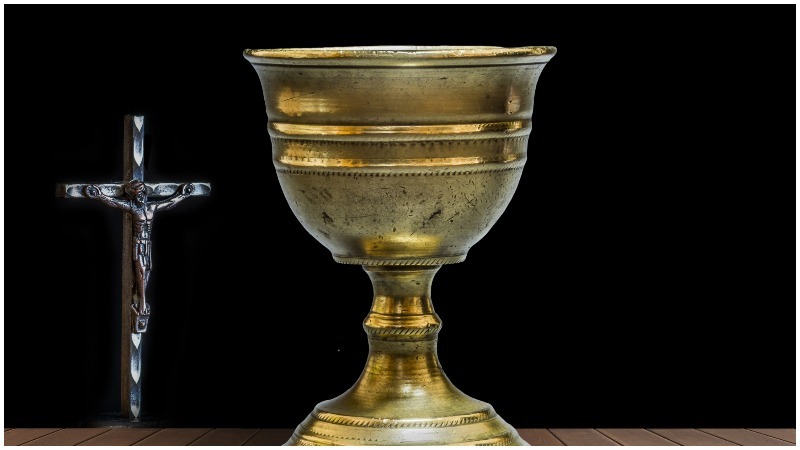 Richer Vikings drank imported wine. (Later in history, the Scandinavians developed “akvavit” or “water of life,” made from grain and potatoes). Whatever they drank, the Vikings loved their alcohol. 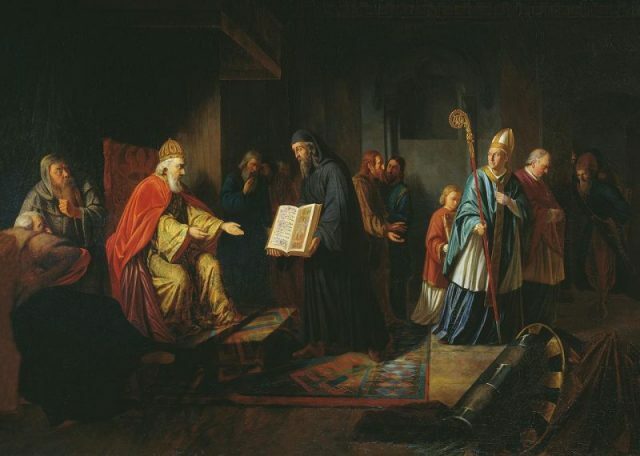 This love continued as they settled down in Kiev, intermarried with local ruling families and became the Kievan Rus, who ruled a vast kingdom from about 879 AD with the Viking chieftain Oleg and ended sometime in the 11th century after the death of their ruler Yaroslav the Wise. 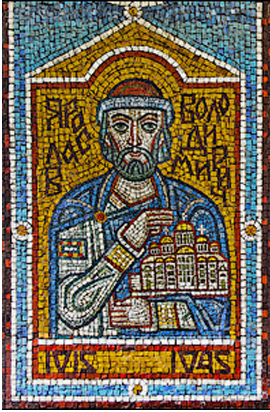 Yaroslav the Wise’s consolidation of Kiev and Novgorod as depicted at Zoloti Vorota mosaics. In Denmark, King Harald Bluetooth adopted Christianity in the 960s. One reason is that it allowed his people greater access to trade in Christian cities. Another was because he had a powerful Christian neighbor to the south, Holy Roman Emperor Otto I. Harald’s conversion meant that Otto would not invade. 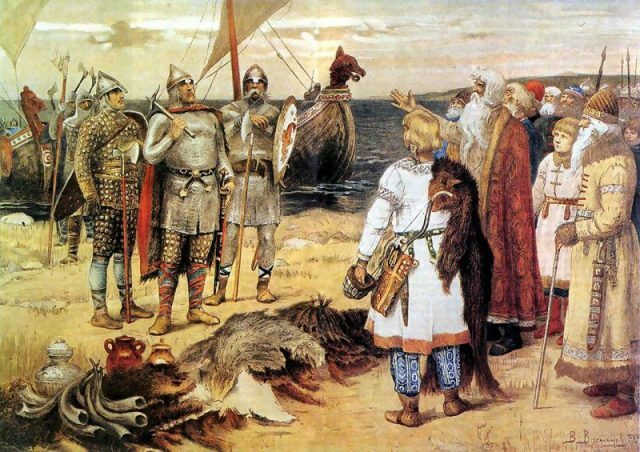 Vladimir I became the leader of the Kievan Rus in 978, with the help of Norwegian kinsman Haakon Sigurdsson, ruler of Norway from 975-995. He, like his Norwegian cousins, was a pagan. He built temples for the gods throughout his lands. 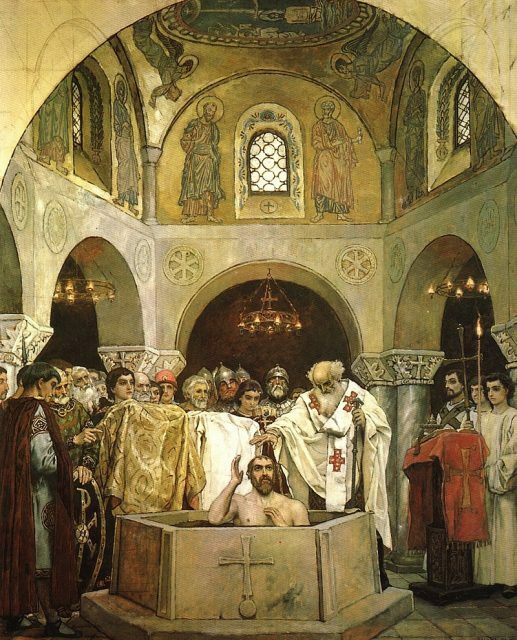 The Baptism of Saint Prince Vladimir, by Viktor Vasnetsov (1890). He built temples to honor the gods of the local Slavic tribes as well others, in order to appeal to as many of the people in his lands as possible. However, by 987, many of his people had begun to convert to Christianity, as had many of the powerful tribes nearby. 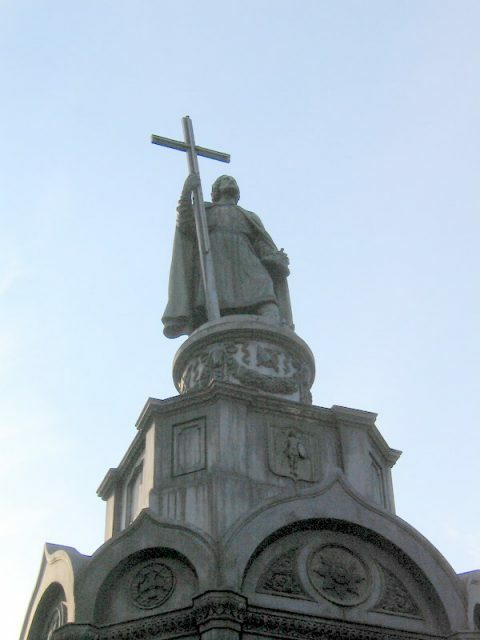 Saint Vladimir Monument on Saint Vladimir Hill in Kiev, often depicted in paintings and photographs of the city. The richest city in the world, Constantinople, was Christian, and Vladimir did much trade with the city. The Rus and Vikings also did much trade with the Muslim lands of the Middle East, most specifically, Persia. There was also a significant Jewish population near the Black Sea of his kingdom, and Vladimir had heard tales of their wisdom. “They were even thrown out of their capital, Jerusalem. They also show their devotion by circumcising their young. They also don’t eat pork.” Vladimir decided not to convert to Judaism. Vladimir famously replied: “Drinking is a joy to the Rus, we can not do without it.” Islam and Judaism were out, and the Orthodox Christianity of the Eastern church was in.